Join Loculus, a newly formed performance collective, for their unveiling celebration on August 29th at 8pm at American Legion in Hadley, MA. Loculus, as a collective, is committed to creating and performing movement based work that seeks to integrate dance into the local DIY music and arts scenes. 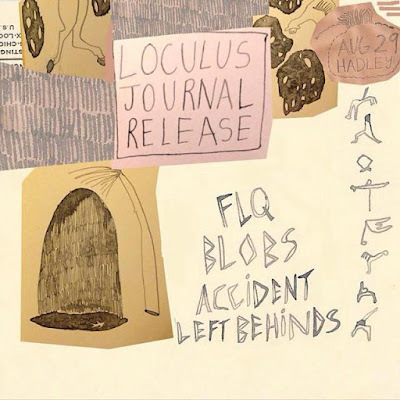 With that in mind, the even twill feature four bands: FLQ from Canada, Blobs from Buffalo, and local acts Accident and Left Behinds, alongside a dance performance by Loculus. In addition to their live performance Loculus will be releasing the first installment of a quarterly journal, written and edited by collective members. Where the Knife Hits The Wall, as the first issue is titled, will be released and available for purchase at this event as well as at the Northampton Print and Book Fair on October 4th at the APE Gallery in Northampton.